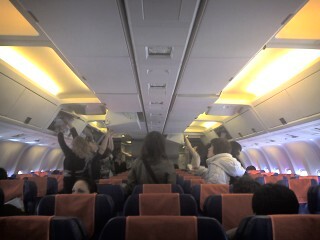 the Keitai Goddess : All Aboard Aeroflot! No no no. Can’t see anything hanging off or duct taped there…. The trip was spartan to say the least. No entertainment system AT ALL - no movies, no radio, nada. Worst thing was that the booze wasn’t free!! Thank goodness for my iPod and a book.